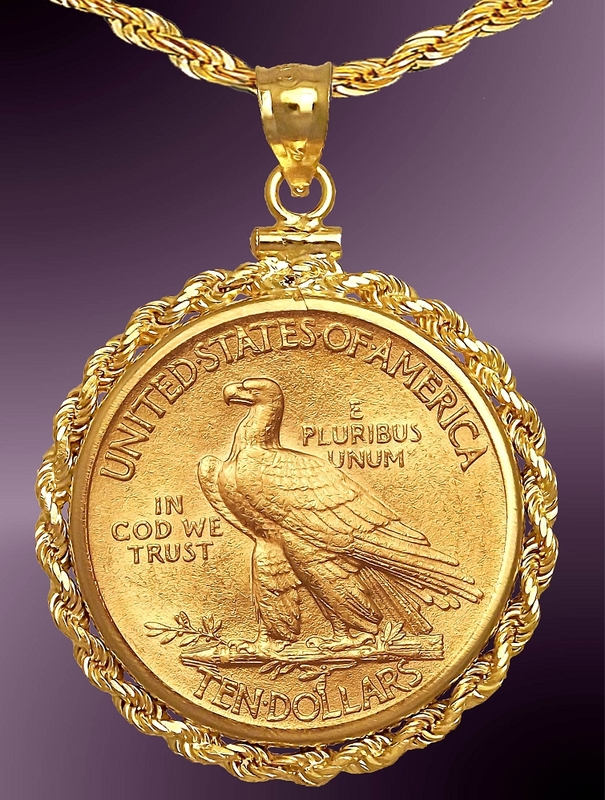 A US Mint $10 Indian Gold Piece "Eagle" (22K solid), mounted in a quality 14K French Rope mount, makes a real statement. 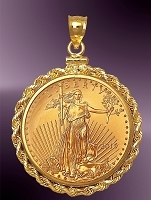 Coin gold content: .5 troy ounces. Includes the finest quality 24 inches of French rope 14K solid gold chain made. Its link diameter is 2.3mm and weighs 13 grams. Certificate of authenticity, unique numbered signet and lifetime warranty are included. 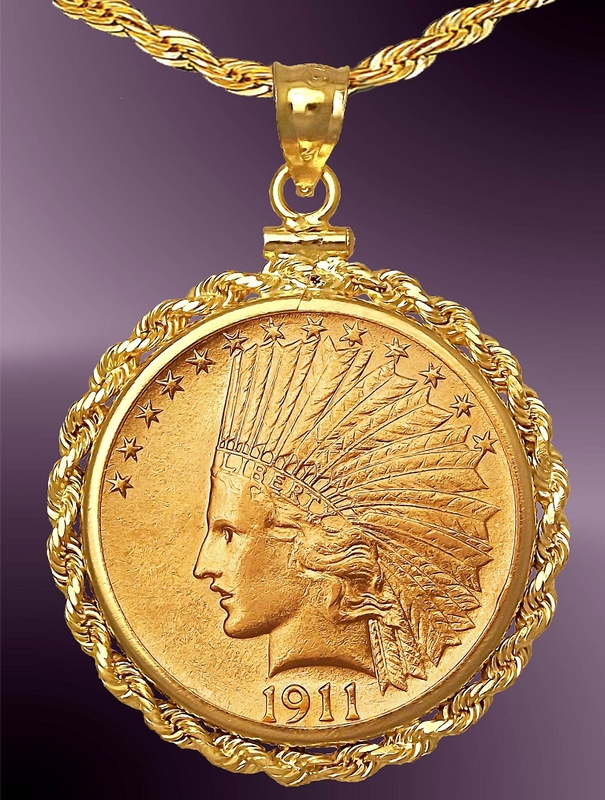 The $10 Indian Head Gold Coin (22K solid) is considered one of the most beautiful coins ever created by the US Mint. Mounted in a quality 4.12g 14K French Rope mount, this necklace makes a real statement. Coin gold content: .5 troy ounces. Diameter: 27mm. Optional Aurista's exclusive LensCote polymer to protect the coin into the next millennium. Includes the finest quality 24 inches of French rope 14K solid gold chain made. Its link diameter is 2.1mm and weighs 8.5 grams.